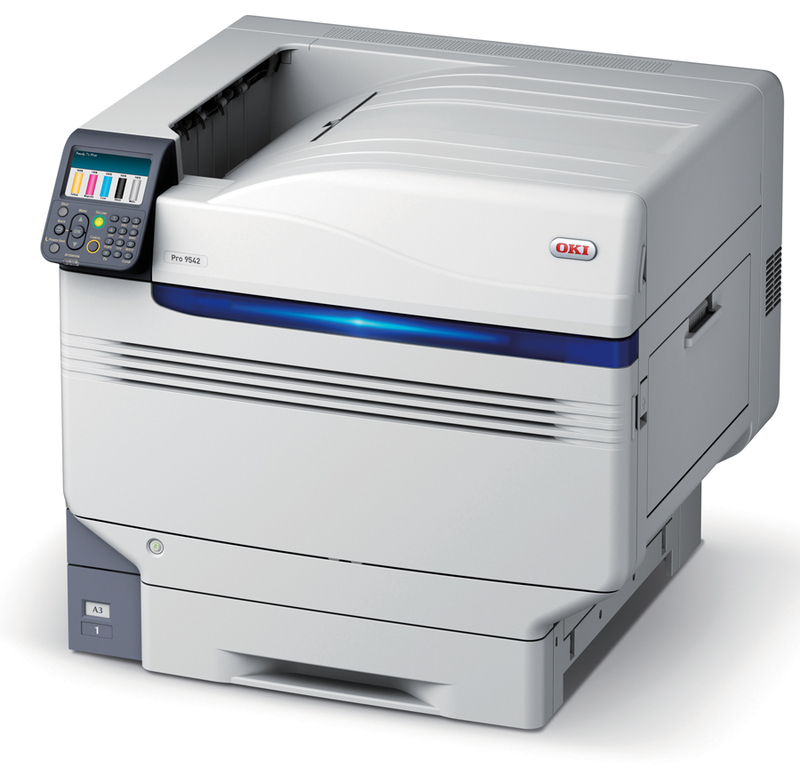 OKI takes graphic arts printing to a new level with the Pro9542dn, offering outstanding print quality, higher print speeds, lower total cost of ownership, complete media flexibility plus the unique option of printing with a fifth colour. You can now print on-demand, the full range of process colours, including solid white on a dark background. The Pro9542dn is an affordable and unique high definition printer that enables you to not only print the full range of process colours but also offers white. The Pro9542dn uses the combination of digital LED technology and our Multi-Level ProQ technology to produce the sharpest and most vibrant print output available.